When I was in the midst of the manure, and sometimes even today, I have to get up and get an apple. It was always late at night. The demons usually visit when it gets dark. A Gala apple. So sweet it bites back. You see, when things got bad, and they got very very bad, I could not shut my brain off. I often tease my female clients that they are cursed. I’m not talking about religion and I’m not mentioning your period, I’m talking about your big, glorious brains. I have often asked my wife, “what is it like in there?” She thinks all the time. All the time. I can’t imagine the hell that would be. In my experience, so you know this is super sciencey, women’s brains are far different from mine. While it is true I have a brain injury, I can clearly (as clear as I ever am) still remember being able to stop thinking. There, I said it. I have asked many different groups of people, men and women, a few questions that seem to indicate that most of the men in my life can literally turn to the wall and shut off for a few seconds. Imagine that, ladies. That is the reason television is the drug of choice for so many men. I am barely awake when I watch television. My wife can ask me a question (and why are you talking during the program?) and I can feel myself shake off the lethargy and reemerge into the waking world. I can stop thinking. There I just did it again. In counseling we talk about racing thoughts. Racing thoughts are… well you really don’t need an explanation now, do you? There were bad years when I could not shut down. I know now that my brain was acting on a more primal level than it should be as I write this article. My amygdala was pounding, my higher-end reasoning was drowned out in the waves and waves of pain. You know what I’m talking about. In addition to size, other differences between men and women exist with regards to the amygdala. Subjects’ amygdala activation was observed when watching a horror film. The results of the study showed a different lateralization of the amygdala in men and women. Enhanced memory for the film was related to enhanced activity of the left, but not the right, amygdala in women, whereas it was related to enhanced activity of the right, but not the left, amygdala in men. One study found evidence that on average, women tend to retain stronger memories for emotional events than men. 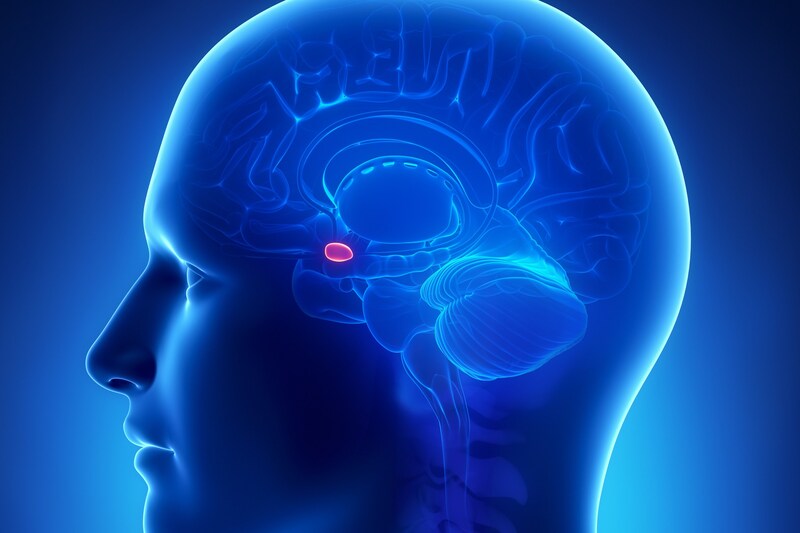 The right amygdala is also linked with taking action as well as being linked to negative emotions, which may help explain why males tend to respond to emotionally stressful stimuli physically. The left amygdala allows for the recall of details, but it also results in more thought rather than action in response to emotionally stressful stimuli, which may explain the absence of physical response in women. Some of us feel this way if we get cut off in traffic, or our spouse demeans us, or someone says something insensitive. Many of us have started down this road just by reading the news. Words like terrorism, or ISIS, or violence, are very powerful and can start your brain in a direction where all bad things tread. We emotionally react “without thinking”. Have you ever said that? I don’t know what happened, I just reacted. I did that without thinking. Amygdala. Limbic System. Throw those around at the next party you go to… nerd. (Technically my wife calls me a geek, but it’s in the same family. Any nerd would know that). Basal Ganglia. I say it with a slight drawl on ganglia. Contrary to the tone of this piece (it’s Monday), racing thoughts are no joke. So I went to kitchen and grabbed an apple. It was hard to get out of bed, it’s warmy in there. I didn’t even need to pee – I like to work efficiently when the room is cold. I could lay in bed and wrestle with my thoughts forever but in that position I could not win. The physical act of getting up, of distracting myself with a sugary snack (that woke me up), pulls me methodically away from that inner battle. It takes me just over two minutes to eat an apple. I’m not even remotely suggesting you should start eating apples in the middle of the night. You should have a Kit Kat. Counsellor’s orders. By now you know where I am headed. There are times when I cannot remain in my head and win this battle. There are moments when we need to employ what we know, to battle what we fear. I put the apple in my cheesy toolbox, along with my chair, and my rock, my STOPP therapy, and a few other tools that occasionally work. This is not deep, but it does work. There is no value in letting my thoughts run wild. I have heard those who believe that we should not seek to damper our emotions, that we should “feel our feelings”. While this is often good advice, it may not serve us well if we are feeling suicidal, for example. There are times when I need to shut the engine down, if for no other reason than I cannot continue to maintain this level of engagement. There was a time when we believed that practice made perfect. We believed that we needed to “fight the good fight” and engage those thoughts, in order to develop our emotional muscles. We now understand that this is not necessarily the case. I possess only a limited number of “no’s” in my repertoire. Exposing myself to temptation does not develop resilience. The more I say no to the cocaine, the more it takes out of me. This is not universally known. We have believed that the more I say no, the more I develop the capacity to resist. Research, unfortunately, does not support this premise. The actual truth is – the more I say no the more likely I am to say yes next time you ask. I only possess a limited storehouse of good intentions. If you are an alcoholic, being around booze does not make you stronger. In point of fact it makes you much weaker. It serves no purpose when I let myself “go there”. There is no pot of gold at the end of that rainbow, just frustration and failure. Learning to stop the freight train is a skill that doesn’t come by accident, it takes practice.